The “hellos” from neighbors are sincere, the murals are welcoming, and the downtown beckons with good books and even better food. In this Alamance County town, there’s a sense of belonging. My first real connection to Mebane came 10, maybe 15 years ago, when a friend asked me: Would I mind watering her flowers a couple of times a week over the course of that July, while she was out of town? Could I specifically water her sedum — once cuttings, she was eager to tell me, from her grandmother’s garden? My friend, an art historian, was remodeling a fabulous 100-year-old house near downtown (like seemingly everyone else I knew in Mebane). The bones of the thing were so good: heart pine floors, huge windows, long shotgun kitchen. She and her architect spouse threw noisy parties, cooked whole fish in salt merengues, let friends and neighbors draw cartoons in pencil on the bathroom walls. I understood Mebane to be a place of wonder, is what I’m saying. 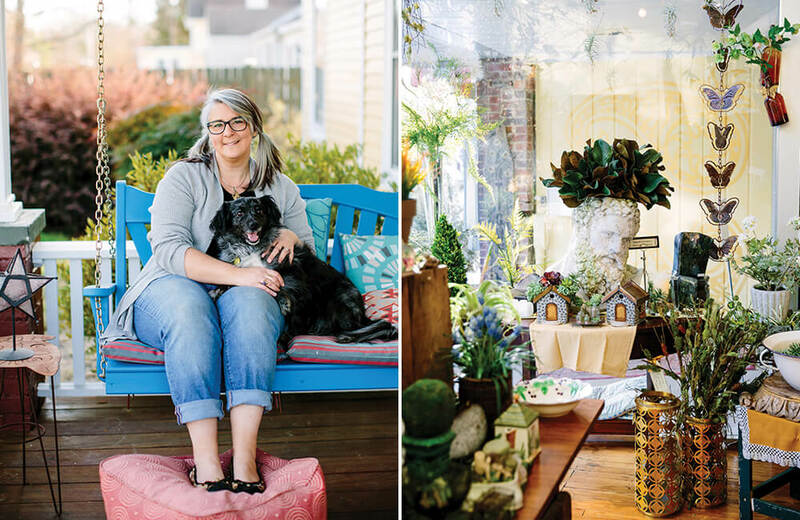 A place where people looked after one another — and, by extension, took good care of each other’s heirloom succulents. Mebanesville — the town’s name for three years before it was shortened to its current moniker — was incorporated in 1881 and was a furniture town, a mattress town, a mill town, a railroad town. But this is the story of so much of central North Carolina; nothing necessarily particular blooms from that. So I asked a painter friend and Mebanite: What makes Mebane Mebane? What about this town makes it so nurturing, makes it a place where things can grow? “Oh,” he said. “You need to ask Evan” — a mutual friend and another art historian. (Mebane! Locus of all things art and art history!) “She’s to Mebane what Andy Warhol was to New York City,” he said. Off to Evan Gatti, then. Who lives, of course, in a 100-year-old house she just remodeled. And who also hosts terrific parties. 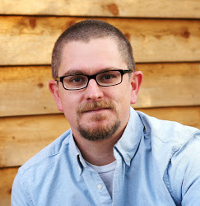 Note to you, dear reader: It only takes asking two or three people about Mebane to start wanting, in a necessarily particular way, to move there. If your sense of Mebane is one that starts at the interstate, at the outlet mall, then you’ve got it not quite right. Though I love a good deal as much as anybody, if you’re out that way, you need very much to drive the couple of miles north on Fifth Street into downtown proper. There you’ll find, nestled along the train tracks, several blocks of two- and three-story brick buildings that seem lifted out of — well, not a movie, because none of it’s that precious. Mebane seems more genuine than that. I ask Evan if she knows what I’m getting at. “We do have a sense of our history as part of our present,” Evan tells me over coffee at Filament, her local coffee-shop haunt. White string lights hang in the windows; people cluster at tables playing board games, planning dinners. Everyone seems to know everyone else one way or another. Impromptu carpools spring up more than once while we talk. But the history is here, too: exposed bricks, original beams, original doors in some of these storefronts. Painted mosaics right on the pavement. I’ve been out walking, and it’s like this all over. Mebane seems to understand both where it’s been and where it’s going. There is a sense of being part of a rambling sort of extended family here. The sprawling White Furniture Company building on one side of the tracks has been turned into lofts, and so has an old mill on the other side. The thriving downtown streets boast bookstores (two bookstores? Even if they double as gift shops? 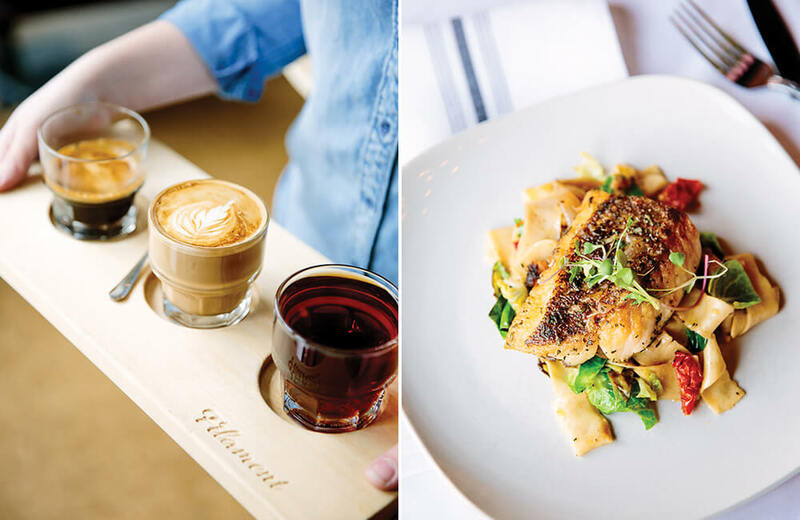 Mebane, I swoon) and bars and restaurants galore, running the gamut from Karma on Third, an organic café that seems lifted from Boone or Asheville, to Pomodoro’s, a classic Italian place that made the newspaper last fall just for changing its menu. There’s an authenticity here, the sense that all these American flags and North Carolina flags flying off the tops of all these buildings aren’t jingoistic but instead hopeful, earnest, honest. The downtown murals suggest this, too: The huge paintings depicting Mebane’s past — horses and buggies, steam trains, drugstores with soda fountains — just belong, and feel very much part of the place, instead of, well, painted-on. An art historian could probably say it better than I. “People are interested in balancing growth and our small-town vibe,” Evan says, and goes on to talk about her fondness for her local government, her feeling that it’s easy to get involved in this place, to feel — to know — you’re making real change. And then she gets excited. Governance and policy is one thing. Daily life is another. It’s a feeling of belonging, of knowing your neighbors. There is, Evan says, a sense of being part of a rambling sort of extended family here. Halloween is done ’70s-style: kids all over the streets and parents hanging out in the yards in between, dusk settling like a blanket. In the summers the city closes down blocks for live music. There’s a dogwood festival. There are food clubs that end in farm-to-table dinners beneath string lights in backyards. I must come back for the Christmas parade, Evan tells me, a nighttime extravaganza that must be seen to be believed. Snow days, Evan says, are the best. Kids gather in clumps at all the best hills, and the parents aren’t far behind. “We often move from the ‘hill house’ to the ‘heat house’ for the evening,” she tells me, laughing. “One of our neighbors built a pizza oven in his backyard, so he’s pretty popular. We have three home-brew kegs on tap, so our house is usually part of the equation, too.” Her lone Mebane complaint: no brewery. Yet. Fear not: Mebane is a city that watches out for its kids. Adult swim and the 30-minute lightning-and-thunder rule both still apply. Maybe that’s the very heart of it, even: I well remember those summer days all those years ago, tending my friend’s garden. The smell of the water from the hose was the smell of my own childhood, a childhood it was so easy to imagine had taken place here, in Mebane. Maybe it’s all these Craftsmans and Victorians. Maybe it’s the kids running from one screen door to the next, the line between friend and family readily blurred. Mebane, you come to understand, is not a small town just dressing up like one. It’s not a city that can’t figure out what to be. The Fourth of July parade didn’t make the national news because it was trying too hard — it’s that people here just seem to know how to move from day to day. You get out of the car, and you think, yes, I could live here. I could build a life. And you get the clear sense that you’d be welcome — that before you even started pulling boxes off the moving truck, you’d already be somebody’s neighbor. Local characters come together to make Mebane a welcoming place. Chef Bob Compton at The Mebane Downtown Table prepares a variety of elegant dishes to complement the romantic, upscale atmosphere in the heart of downtown Mebane. Order classic Southern shrimp and grits, or be more adventurous and try the vegan napoleon. Neither will disappoint. themebanedowntowntable.com. 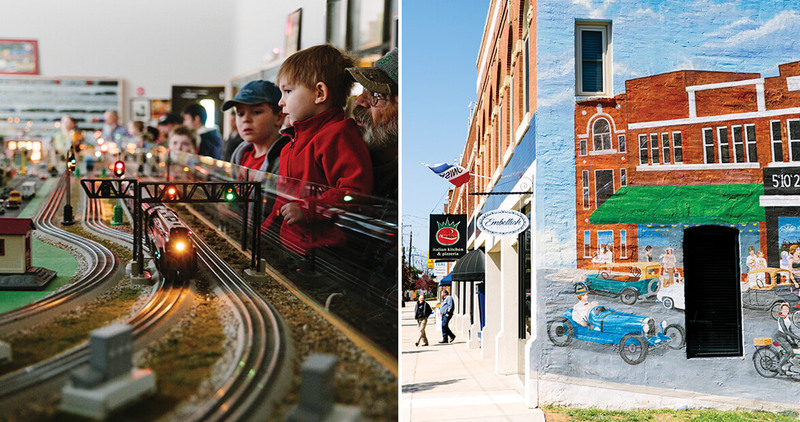 Tommy Long donated his scale-model train collection — one of the biggest in Alamance County — to create the Mebane Train Display. The collection has expanded to include seven trains that wind through detailed miniature landscapes. On the second Saturday of the month, the community turns out to see the trains in action. themebanetrainlayout.com. Painters and potters and artisans of all kinds sell a mix of contemporary art — from oil to acrylic to mixed media to pottery — at Fine+Folk Art Carolina. The airy downtown gallery exhibits the works of local and regional artists, and also offers weekly painting classes and fine-art workshops throughout the year. fineandfolk.tumblr.com.